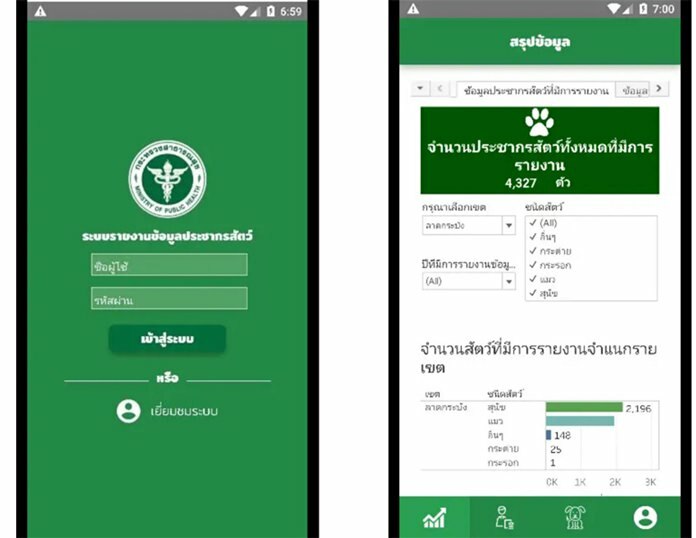 Bangkok – The Department of Disease Control has launched a mobile application ‘Stop Rabies’ to help mobile phone users in Bangkok stay updated on any rabies outbreak. The application contains information regarding the numbers of cats and dogs that have already been vaccinated and neutered in Bangkok and its vicinity. Smart phone users can also use the application to check for rabies updates provided by public health officials. The app can be downloaded at App Store and Google Play. Since the beginning of this year, 15 people have succumbed to the rabies virus while more than 1,000 animals including dogs, cats, cows, buffaloes and goats have been found to be infected with the virus.